No this article is not about another sequel to the “Planet of the Apes” that features pint sized apes ruling the world. This is about the growing trend of mini ape handlebars making their way onto a lot of Harleys. As the name implies, a mini ape handlebar is a smaller version of the iconic ape hanger style of bars. They’ve been around for a while, but are recently getting the respect that they truly deserve. Their resurgence and the recent rise to popularity may be due to the popularity of the Harley Seventy-Two. The Seventy-Two proudly sports mini apes and hearkens back to the hay day of early 70’s choppers in L.A. But even if you’re not into the chopper style, the mini-ape style of handlebars can look great on many styles of bikes, especially with the different design takes that aftermarket brands are coming up with. For a more classic take on this style of bars, L.A. Choppers and Flanders are both great options. Both of these brands are well established in the aftermarket scene and offer solid bars. Each offer options that are drilled for internal wiring to give the bike a nice clean look. Go chrome for a more classic appearance or go against the grain with a black powder-coat finish. If stepping outside of the box is more of your style, mini ape handlebar options from Roland Sands Design should be high on your list. RSD is the hottest aftermarket producer right now and it’s because they do things differently. Take the Crossbar Mini Ape Handlebars for example. These bars feature the traditional shape of the mini apes, but have a BMX inspired crossbar in the middle. The crossbar is contrast cut to accentuate its look against the gloss black finishing of the bars. Another innovative design from RSD is the Narrow Mini Apes. The narrow width of the bars make them a great choice for city riding by keeping your hands closer together so they are less of a hazard in the cramped road conditions. Style-wise, the narrow profile is something that really hasn’t been done before on this type of bars. If you want a truly unique look, the RSD narrow Mini Apes might be exactly what you are looking for. For most Harley models, the mini ape style will add a slight rise to the overall height of the bars. Because of that, you need to consider how that may affect your riding position. If you have the opportunity, find a bike similar to yours with that style of handlebars already mounted to see if it will fit you. You can also look up the measurements of the bars on the Dennis Kirk site and make your own reference point to where the bars will sit on your bike. Switching to mini apes from most stock bars is pretty simple. 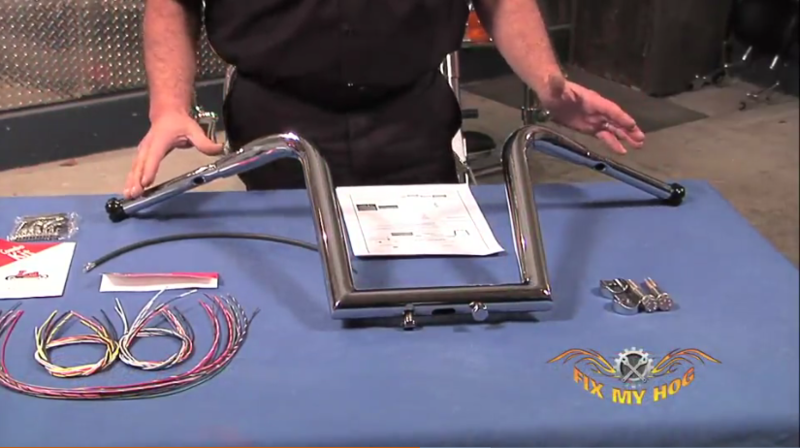 For many bikes, your stock wiring, lines and cables will be compatible with most aftermarket mini ape handlebars. If the bars do require a change in length for the wiring, lines and cables, a lot of brands make a specific kit for their own mini ape bars to match your model of Harley. With so many handlebar options available, you can really pick and choose the bars that best fit your favorite riding position and preferred style. 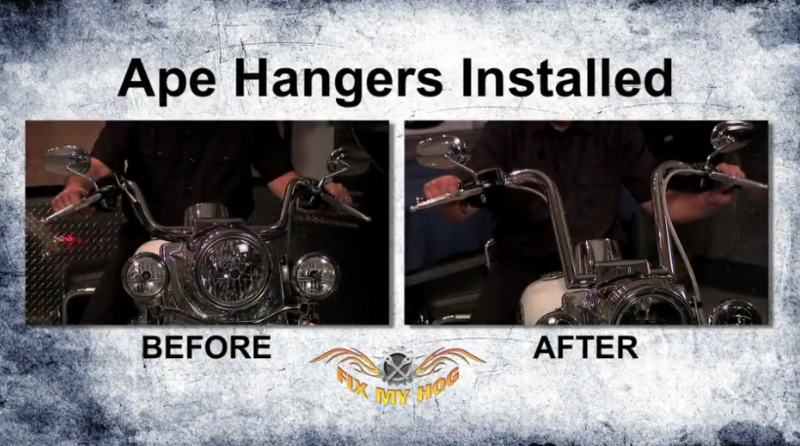 The mini ape hanger is a great contender for any Harley and may be the missing link in creating your perfect bike. Check out a full review of the L.A. Choppers mini apes to get a better idea of what this style is all about and then check out the extensive installation videos on FMH to know exactly what you will need to do. 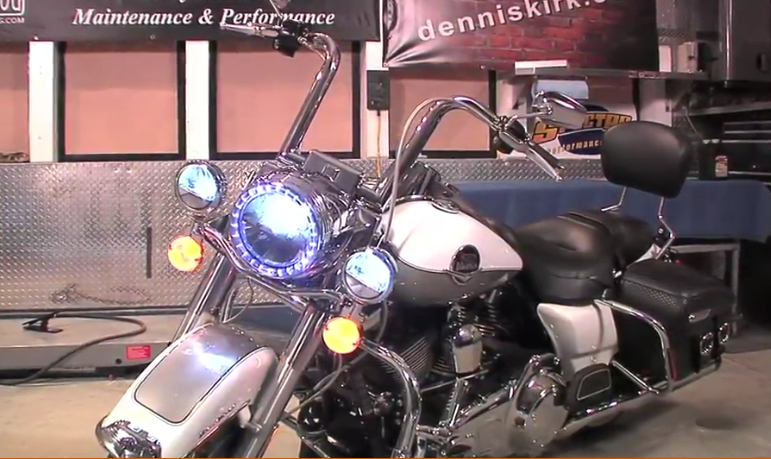 You’ll find a great selection of mini apes and all other styles of Harley handlebars at Dennis Kirk. LA Choppers has a great line of mini apes. I like the look and how they make the bike more comfortable. 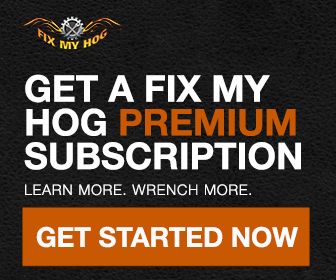 I already have a set of LA Choppers slip on pipes and an air cleaner assembly – they were easy to install and give the bike a very cool rumble. I have been trying to watch the video concerning changing the stock bars to mini aps but I can’t get the video to play. It is out of sync and starts then stops for long periods of time. Any suggestion. By the way, I have a 2012 Ultra Classic CVO.